For flute students wanting to get more out of their flute and their flute studies. 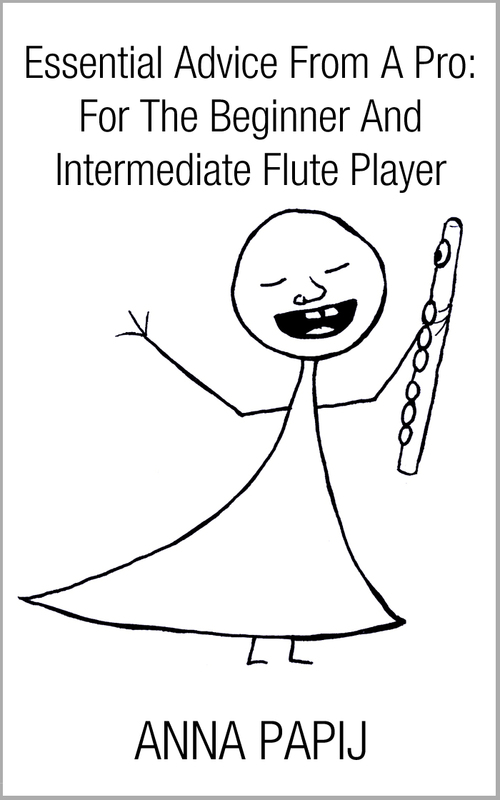 My name is Anna Papij and I’ve been working as a flute teacher and performer for 15 years. Over the years I see a lot of the same questions come up from students in my studio, and from students in various online forums. I thought it would be a great idea to have a resource that covered all of these questions, which are from beginner to intermediate students and amateur performers. Assuming you know already how to play the flute, we’ll cover a lot of ground from how to choose a flute, how to practise, how to be more expressive, how to get a better tone, how to learn fast music, and how to promote yourself as a teacher and performer. So if you are a beginner or intermediate student, or if you are wanting to break into the industry, I’ll teach you how to be a better player and how to make the most of your flute and your flute playing. As soon as I released this book, it instantly went to #1 on the Amazon Best Seller list. Find out what all the fuss is about. Essential Advice From A Pro is available for Kindle (you don’t need a kindle to read it – you can use the free Kindle app on your computer, tablet or smart phone) and paperback. GET IT HERE.